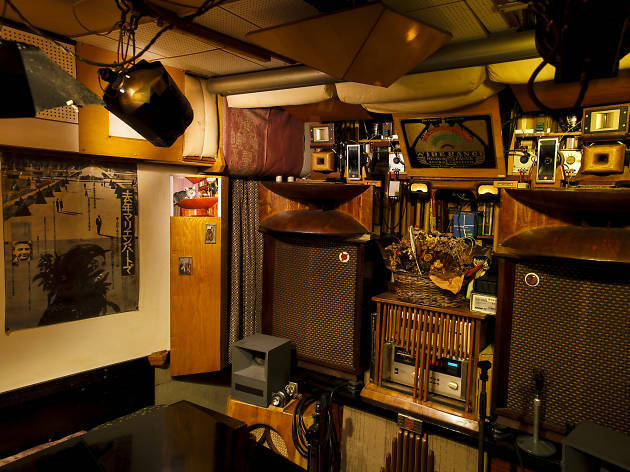 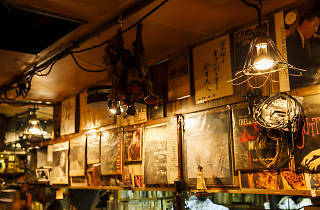 One of the most distinctive jazz spots in the Tokyo metro area, ‘Eigakan’ means movie theatre in Japanese. 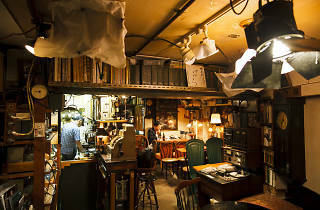 The owner Yoshida-san has a background in documentary films and originally rented the space so he and his pals had a spot to project films in. 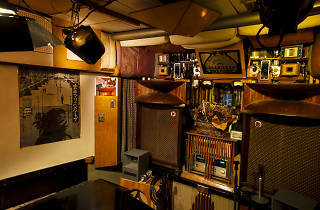 Over time it slowly transformed into the beautifully cluttered jazz bar it is today. 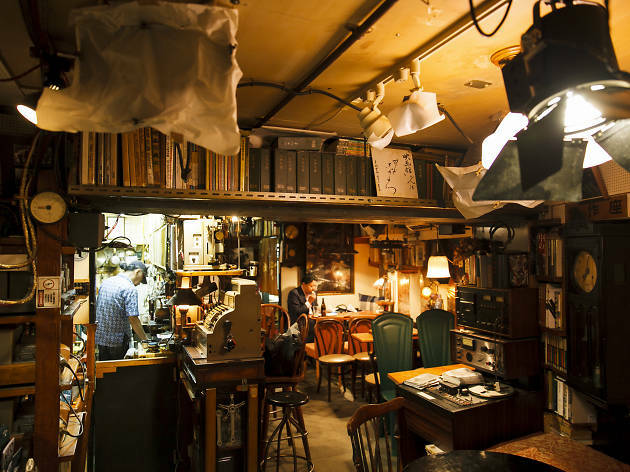 In addition to the fine audio system, there are many film and photo books on the shelves for customers to browse, and some vintage film camera equipment spread around the bar. 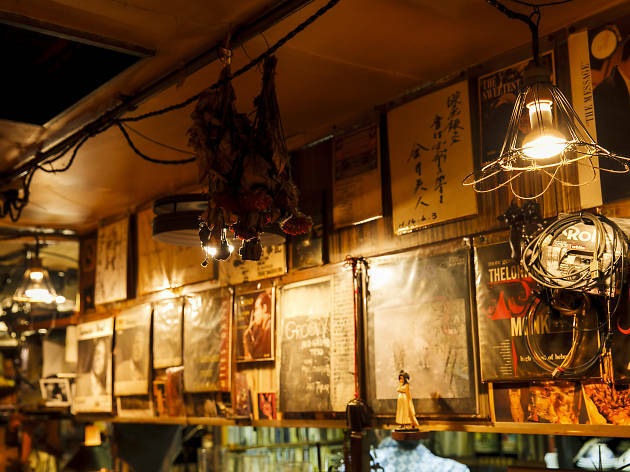 If you love both art cinema and jazz, then you will adore an evening at the Eigakan.